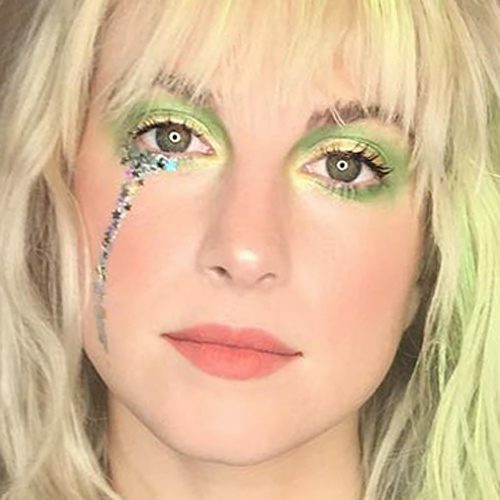 Hayley Williams wearing green and yellow eyeshadow, matte mauve lipstick and a glittery tear makeup on her right cheek. 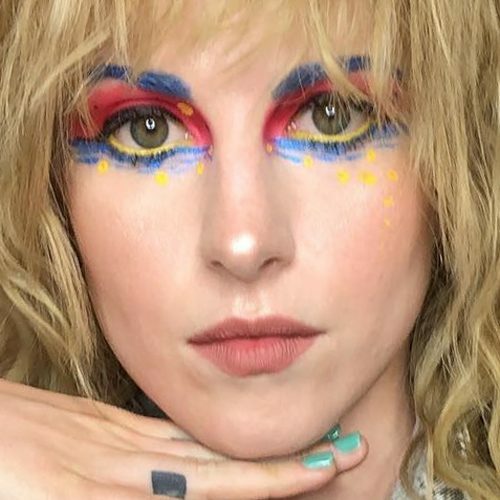 Hayley Williams wearing colorful eye-makeup done by hair and makeup artist Brian J O’Connor. 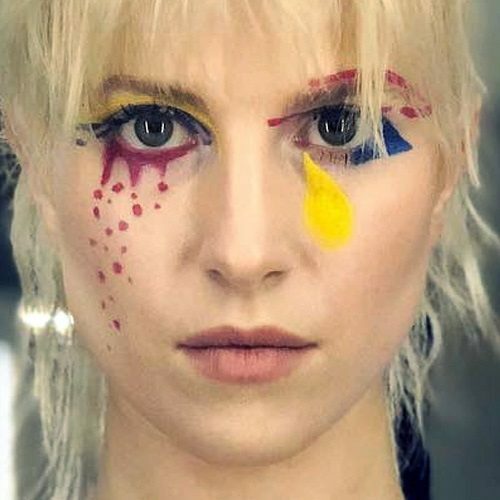 Hayley Williams had amazing color-block makeup on her eyes in the official music video “Paramore: Hard Times”. 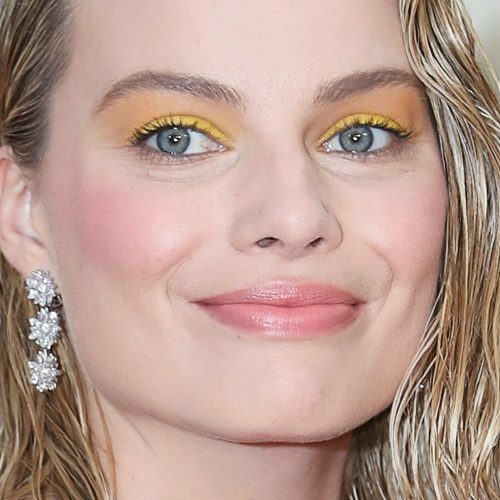 Margot Robbie at the Goodbye Christopher Robin film premiere in London, United Kingdom on Wednesday September 20, 2017. 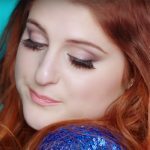 Along with yellow and light blue, Nicki Minaj adds some green shade to her eye makeup to match her hair in “SuperBass” music video. 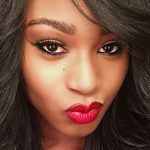 Nicki Minaj eye-makeup in “SuperBass” music video is electric. 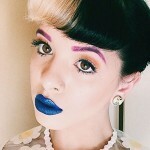 She wears multiple colors from pastel blue to pink and purple and her pink signature lips. 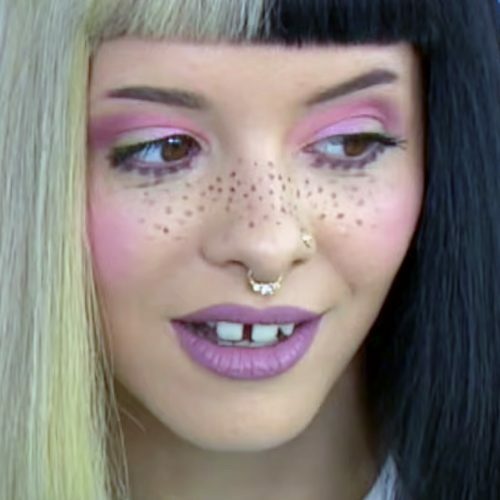 Nicki Minaj rocks a yellow eye-makeup and bubblegum pink lips in “SuperBass” music video. 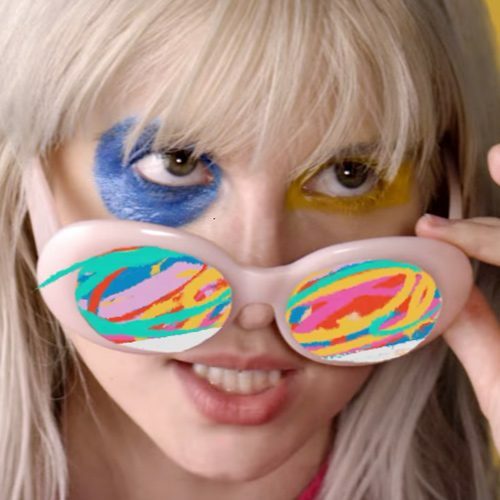 Paramore at the Warped Tour 2007 – Paramore Performing Live In Concert at Comerica Park in Detroit, MI on July 27, 2007.